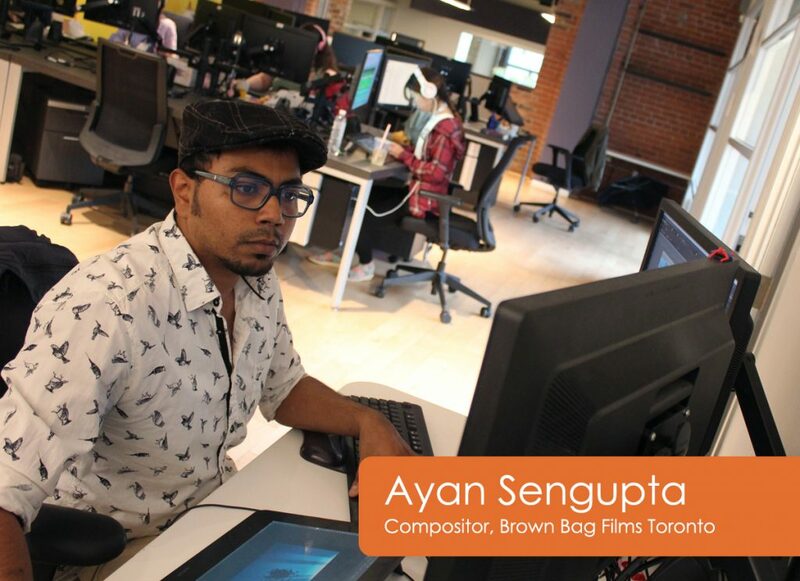 Meet our awesome Brown Bag Toronto Compositor Ayan Sengupta! 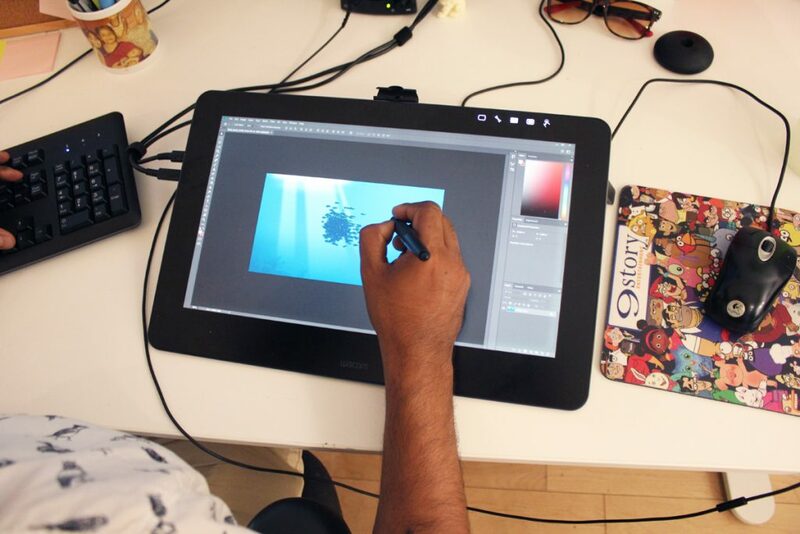 We recently chatted with him about all things animation and are delighted to share some of his insights, inspirations and advice for artists looking to get into the industry. 2. What is your role at Brown Bag Films Toronto? Currently, I am the solo compositor on Let’s Go Luna. But I have worked as Assistant Editor, Layout Artist and Color Blocking Artist on other shows as well. My colleagues. The Brown Baggers are the best people to work with. It’s almost like a family, a team that collaborates, works and has fun at the same time. The second best thing is the shows we work on. The creative content is just out of this world! And last, but not least, the perks that come with working here, like the awesome workplace events every month, the vacation time, the holiday celebrations, etc. just make Brown Bag an awesome place to work. And not to forget, getting to captain the Brown Bag Soccer team for the XTSC Leagues. 4. What tools and programs do you work with most these days? Currently on Let’s Go Luna, I primarily use Toonboom Harmony 14, Adobe AfterEffects CC and Adobe Photoshop CC. For my freelance work, I use everything from 3DS Max to Maya to whatever gives the project the quality it needs. My fundamentals as an artist came from my grandfather, who is a retired commercial artist in India. Full childhood grooming from him and various personal art teachers hired by my parents, kept me always inspired to draw and paint. Going through various competitions in highschool, at state and national levels, helped me to train in a highly competitive environment. All this led to me getting accepted for the Graduate Diploma Program in Design at National Institute of Design in India, 1 of 60 chosen nationwide. I trained in my design fundamentals there. After a year, in 2006, my family’s support for my talent led me to join the Bachelor of Applied Arts Animation program at Sheridan College in Canada. This was a giant stepping stone for me, helping me get the best training and getting to network with awesome, cool artists and friends with whom I still team up with today for various projects! While I kept working hard at Sheridan, I wanted to get some live-action directing experience as well. So one summer in 2009, I ended up schooling at New York Film Academy. This place helped me gain a feel for live-action after making 5 short films. Again adding to my network as well! 5 years later, struggling to find work, I decided to go back to school at Seneca College for the Game Design program. All my hard work and networking then led me to an internship at Nickelodeon Animation Studio in Burbank, California. I got a feel for the origin of the Animation Industry. It helped me respect animation even more. Once back in Toronto, I applied at formerly named 9 Story Entertainment, now Brown Bag Films Toronto animation studio, and have been working here for the past 5 years. With my primary experience being as a Compositor, while having held various other positions like Assistant Editor, Layout Artist, Background Painting, etc. My grandparents and my parents. My grandfather is a retired commercial artist, whereas my grandmother was a math teacher. I would attribute my grandfather for my artistic aspirations and my grandmother for my technical side and the work ethic needed for Animation. And, my parents for the constant risks and efforts on their part to train me to become who I am today. My present is reflected by my girlfriend who has been driving me towards more creative content. 7. 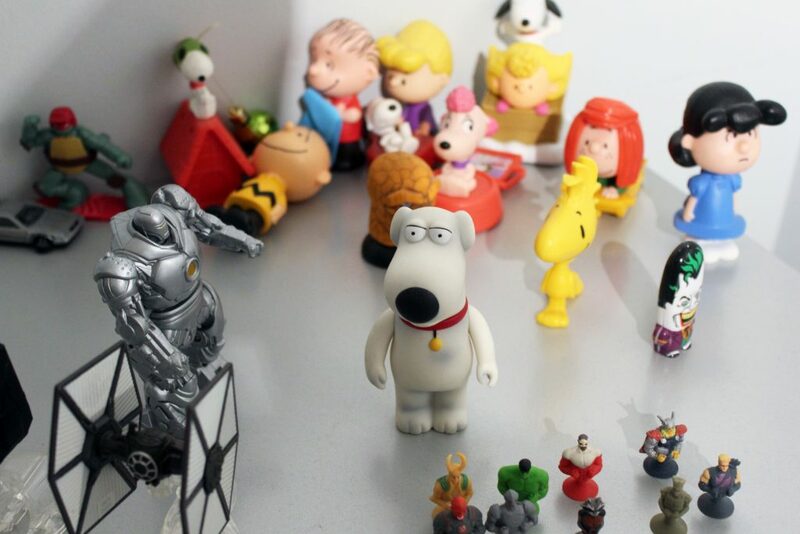 What have you found is the most challenging thing about working in the animation industry? The most challenging thing is the work you have to put into networking over the art itself. Our industry is 50-50 split in terms of effort, between networking and honing one’s skills. The toughest challenge is to strike a balance between the two. Showcasing your work the right way to the right audience is the biggest challenge. If you show too much variety you can come off not looking specialized enough for the work you apply for, while showing too little or the wrong work can come off as appearing to be more of a generalist. One has to empathize with the audience, be it client or employer, to understand what they would like and only showcase what you have that would be suitable. 8. What advice would you give to someone looking to pursue a career as an animator? Be a YES Artist. Accept all challenges, work hard. You have 24 hours a day not 12. Take up all opportunities even if you haven’t attempted them before. You may fail but you will learn from that. You will make mistakes. You repeat those mistakes enough and it becomes your unique style as an artist. But above everything, no matter who, big or small, good or bad, respect everyone. You never know, one day they might be senior to you or a junior who will aid you in achieving quality results! 9. A tip or trick you might want to share about what you do? Just do it in AfterEffects! It can make anything look good, if you know how to manoeuvre it to your advantage. 10. What do you love about animation? Cartoons. Nothing beats the awesome feeling you get from giving joy to millions of kids and parents around the world. 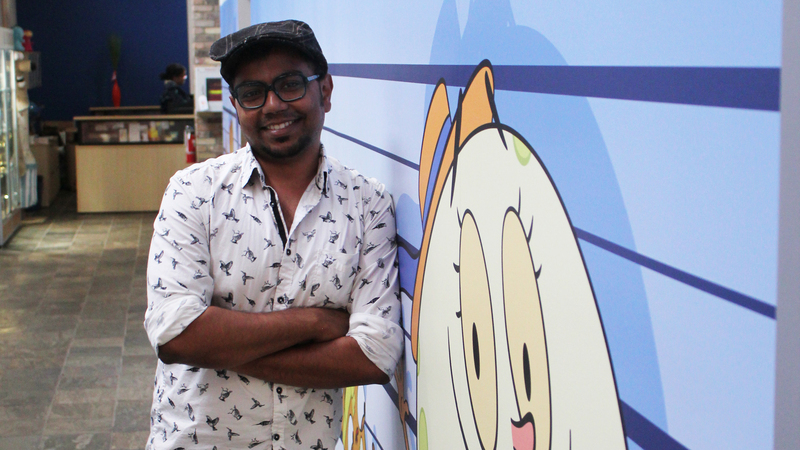 That smile you see, when you tell them you were the one behind such awesome cartoons, means the most to me. Being creative is a plus. 11. Outside of work what is your story? I do a ton of stuff outside of work. 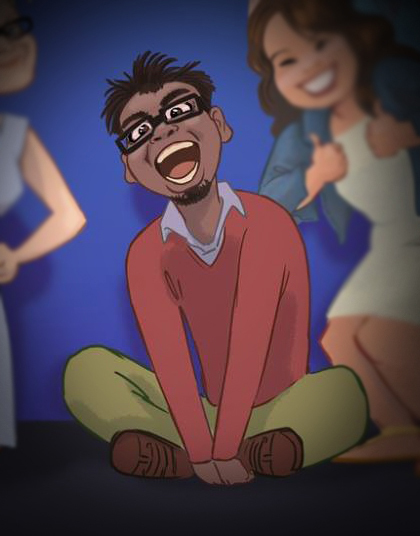 To start, I run my own freelance animation business. I make loads of commercials, caricatures, illustrations, and also project manage teams for longer projects. I run this under the header of Across Images. Other than animation, you will find me playing soccer two days a week. I also travel the world to two new countries at least twice a year. I am a big foodie as well, so I love to check out new restaurants and bars. My favourite of ALL is socializing with people and not limited to just friends. I can have a conversation with someone even if we don’t share the same language. Pssst… Google translate. 12. If you were an animated character what would you look like?